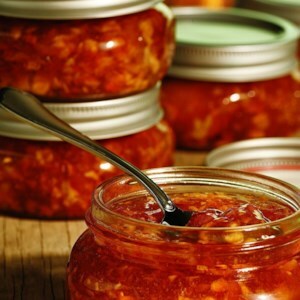 Find healthy, delicious jam & jelly recipes, from the food and nutrition experts at EatingWell. Grapefruit marmalade has an intense flavor and marked bitterness--mostly from the white pith beneath the skin. 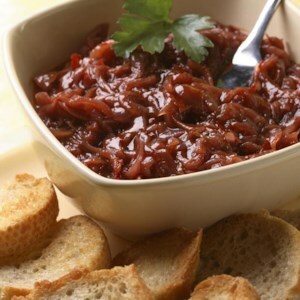 In this jam recipe, we opt for small grapefruits because they have less pith so you'll end up with less-bitter results. 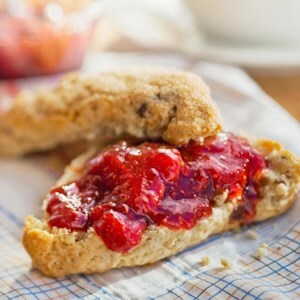 In this easy jam recipe, a few fragrant rose petals add a floral nuance to otherwise delicious but plain raspberry jam. If you don't want to can the jam, store it in the refrigerator for up to 2 months. Serve with crackers and cream cheese or spread onto a vanilla cake for a healthier frosting. Seasoned with spices inspired by chai tea, this slow-cooker apple butter can be slathered on your favorite toast, served with a fall cheese plate or stirred into yogurt. 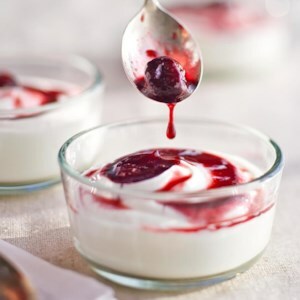 This cherry preserve recipe is delectable with warm scones, over vanilla ice cream or swirled into plain yogurt. If you have access to sour cherries, you can substitute them for up to half of the sweet cherries and increase the sugar to 3 cups. 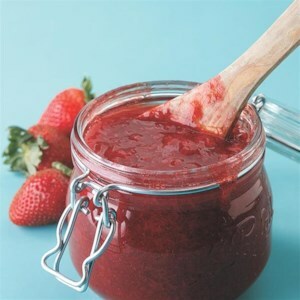 This strawberry preserve recipe is made in small batches, to reduce the amount of time the fruit is heated so it retains more of its intense fresh flavor. If you use about 25 percent underripe berries in the mix of berries (they're higher in natural pectin), you don't have to add any store-bought pectin. 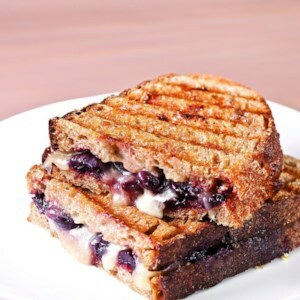 This is not a sweet jam to eat on your peanut butter sandwich, rather a smoky, roasted cherry jam that goes well with savory foods like cheese, grilled pork tenderloin or roasted chicken. 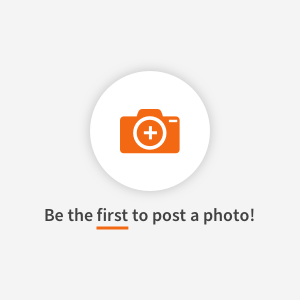 Try it on a grilled cheese sandwich with extra-sharp Cheddar or fontina cheese. Nothing beats the taste of fresh fruit jam. And when you make it yourself, you can control the amount of sugar used. Fruit butter is made by cooking down the fruit mixture until thick and sticky instead of adding pectin to set the mixture as you do with jam. Spread on whole-grain toast or stir into plain yogurt. We prefer to peel stone fruit, such as apricots, nectarines, peaches, and apples and pear for this recipe. 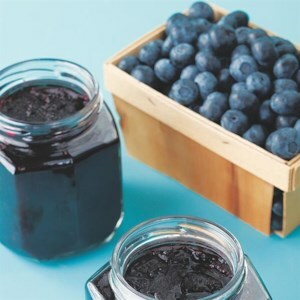 If you're making a butter with “seedy” berries, such as blackberries, raspberries or even blueberries, you can puree the butter and pass it through a sieve for the smoothest result. Try the combination of blueberries with lime juice and zest or plums with orange juice and zest. 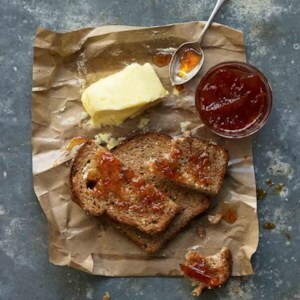 This fruit spread-style peach jam can be made with no sugar at all, but we use 1 cup sugar for just a touch of sweetness (up to 3 cups sugar can be used for a sweeter jam). 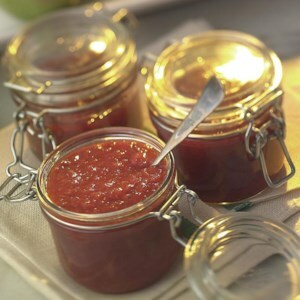 If you want to use glass canning jars, be sure to choose wide-mouth dual-purpose jars made for freezing and canning. These jars have been tempered to withstand temperature extremes. Any type of onion will work for this chile-and-pomegranate-infused jam. Spread crostini with goat cheese and top with the spicy-sweet jam for a quick appetizer or tuck some into a steak taco. If you're a fan of spicy foods, use the full amount of ancho chiles. 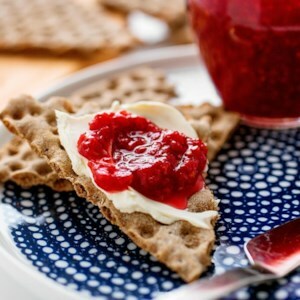 This simple homemade fruit spread has less than one-fourth the calories and one-third the carbohydrate grams of a common commercial variety (you can trim those numbers even further by opting for no-calorie sweetener). Cooking the plums in fruit juice with apples allows you to sweeten the spread without an excessive amount of sugar and take advantage of the natural pectin in the fruit. This method also works well with strawberries, blackberries or peaches. This quick and easy jam will surely become a summer staple when plump strawberries are in season. Orange zest and crystallized ginger add balance to this tangy rhubarb jam. This classic orange marmalade is a pretty gift for the holidays.